Trinity is pleased to welcome music director, performer, and producer Demond Mickens to campus on Feb. 22, where he will be leading and participating in several events, including the Diversity Scholars visit and Gospel Fest. Demond will be offering the meditation for Chapel that day at 10 am. He will be a featured guest at Trinity’s Annual Gospel Fest at 7 pm. All are welcome to these events! Demond Mickens was born and raised in Gary, Indiana until the age of 14 when his parents moved him to the south suburbs of Chicago. 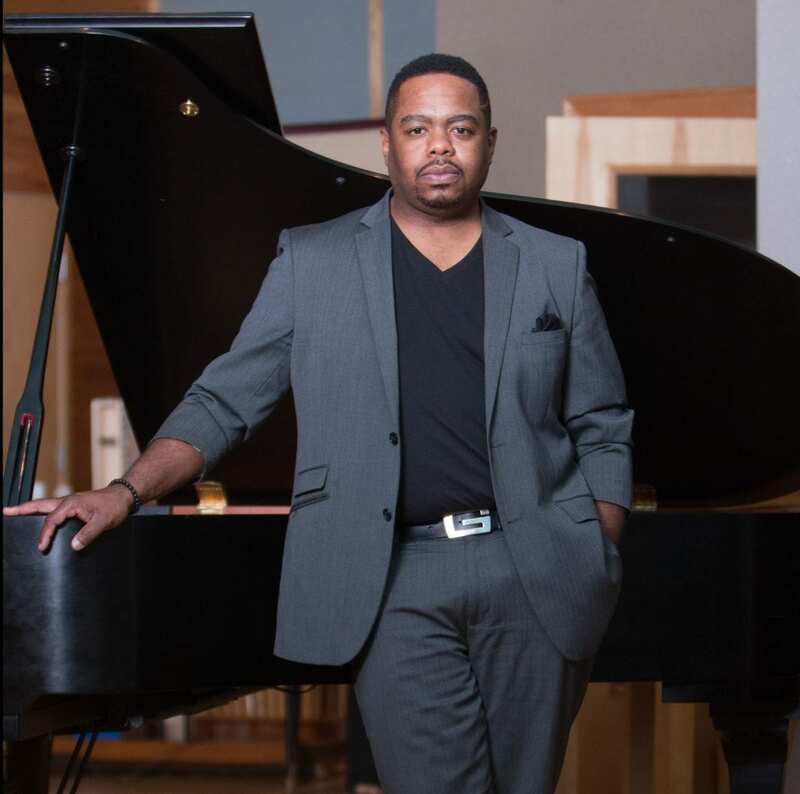 He began developing a diverse skillset in music throughout school and with several church ministries in Chicago. After high school he enrolled into Columbia College to expand his knowledge regarding sound and music production. His musical skills accompanied with his education in sound and production became the backdrop for his career in music. His career that has allowed him the opportunity to be an intricate part of musical productions & tours that have reached throughout the United Stated and several other countries. In 2001 he became the music director and coordinator for Gogospel International. This is a choral workshop and recording held in several parts of Europe. This workshop allowed local artists from the United States to teach choirs in several cities throughout the U.K. Gogospel reached a record attendance of 10,000 people during his leadership. He remained the coordinator and musical director for the next 12 years. In October of 2007 he moved from Chicago to Atlanta to capitalize upon the growing music industry there. This move opened new opportunities to work with countless artist as a producer and recording engineer. His expertise has been called upon to help build careers of many up and coming artists and producers. Some of these relationships have lead to production work with some of music’s elite, such as: Justin Bieber, Jennifer Hudson, Black Entertainment Television (BET), The Gospel Music Channel, Byron Cage, Albertina Walker, Dorothy Norwood, Angie Stone, Interscope Records, Akon, as well as many others. Although his production career was growing, his church ministry involvement always remained consistent. Several large churches in Atlanta have relied on Demond Mickens for help with growth in the areas of music and media. Demond now runs a consulting firm that helps artists and organizations revolutionize results by providing proven techniques, resources, and guidance in music and media.